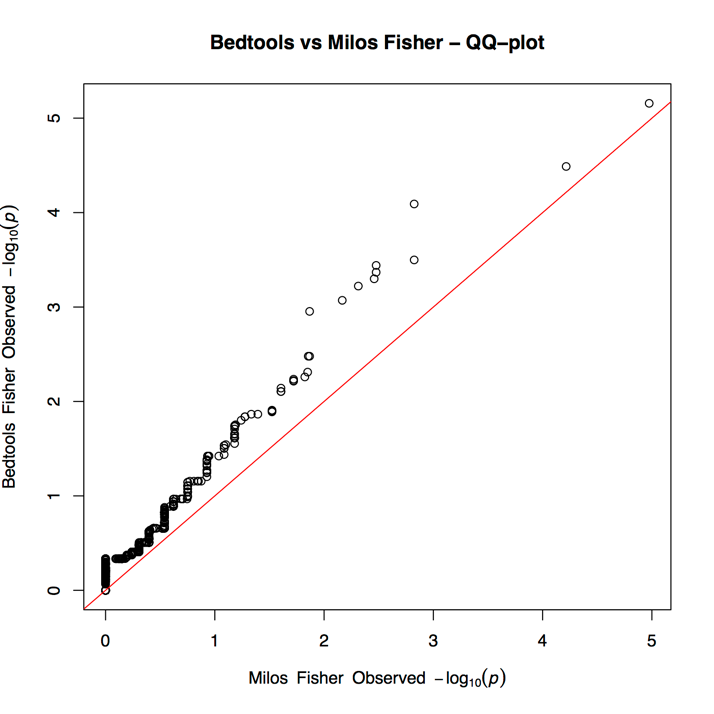 GitHub - milospjanic/fisherTestForGenomicOverlapsMilosPjanicMod: Combined bash/R script performs specialized Fisher's exact test and generates p-value that shows significance for the overlap of two sets of genomic regions. Statistical test includes genomic background i.e. combined ENCODE set of open chromatin regions to calculate constituents of the Fisher exact test contingency matrix. 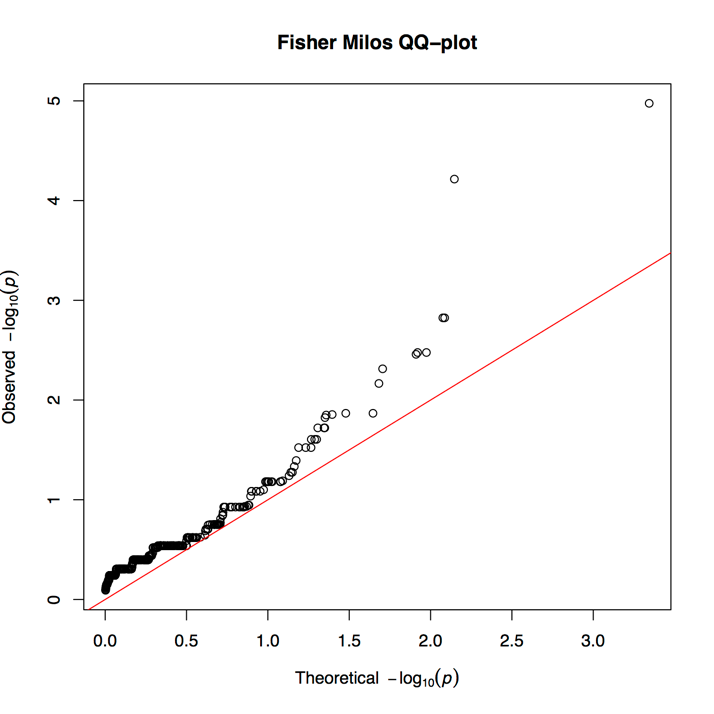 Combined bash/R script performs specialized Fisher's exact test and generates p-value that shows significance for the overlap of two sets of genomic regions. Statistical test includes genomic background i.e. combined ENCODE set of open chromatin regions to calculate constituents of the Fisher exact test contingency matrix. Want to be notified of new releases in milospjanic/fisherTestForGenomicOverlapsMilosPjanicMod? This is a combined bash/R script that will generate a Fisher test p-value that shows significance for the overlap of two sets of genomic regions (for example from ChIP-Seq experiments). Note that file names do not have to be file1.bed, file2.bed, background.bed, this is just an example. As genomic background for the human genome you can use e.g. combined ENCODE set of open chromatin regions or a similar data set. Genomic background is necessary to calculate the constituents of the Fisher test contingency matrix: overlap of A and B in the background BG set, A but not B in BG, B but not A in BG, BG without A and B. We provide a combined ENCODE DHS data set in a bed file which you can use as a background set in the human genome, background.bed. And when compaered to theoretical distribution of p-values, our observed p-values follow theoretical and show deviations from it near the end, as expected. ..- attr(*, "names")= chr "odds ratio"
$ method     : chr "Fisher's Exact Test for Count Data"
$ data.name  : chr "A_B"
\- attr(*, "class")= chr "htest"